The national Interactive Radar map uses NEXRAD data provided by the Iowa Environmental Mesonet (IEM) through a live web map service. Our goal is to make this national radar data available in a user friendly interactive web map so you can view your local weather quickly. EZ weather Radar is free responsive mobile website developed by 3.0 Website Designs. We are constantly working to improve and give you the best user experience along with the mose pertinent weather data and tools. NEXRAD Weather data is very important in identifying local weather patterns and current conditions. 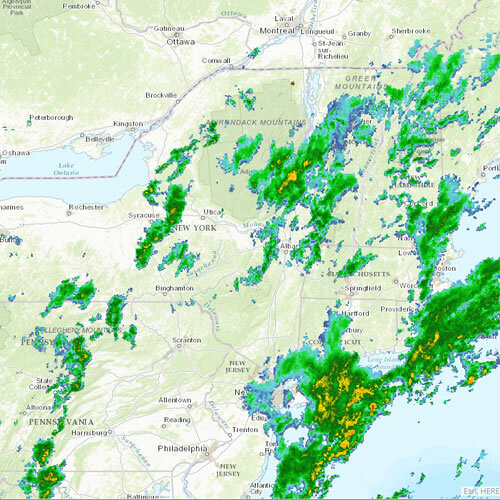 We are currently displaying the Radar data known as Digital Base Reflectivity (NOQ) derived from algorithms including Spectrum Width, Vertically Integrated Liquid, and the Velocity Azimuth Display (VAD) Wind Profile. 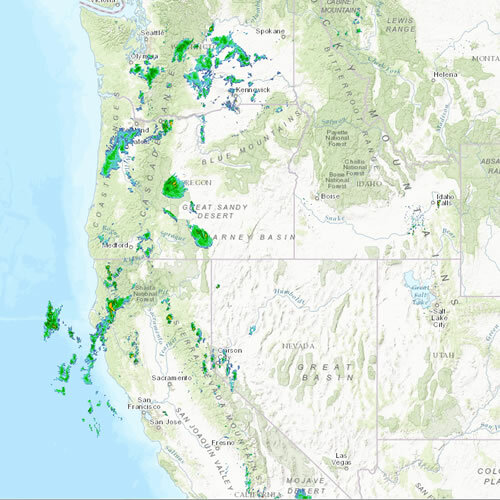 EZ weather Radar was created because there is some outstanding national weather radar data available throughout the United States that we wanted to display in a user friendly format. 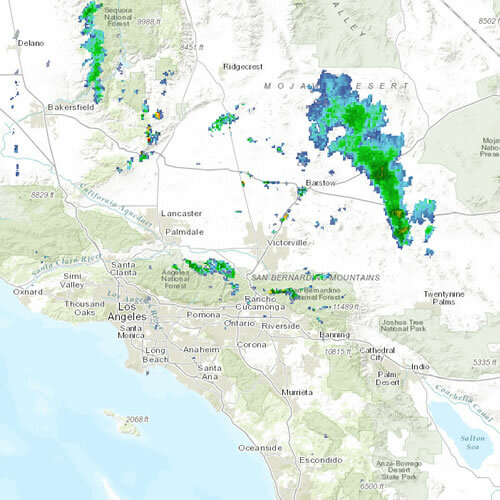 We believe that our national interactive radar map (EZ weather Radar) makes it clear and easy to identify what is going on not only in your local area, but also any place you choose to zoom to in the States. We do not have a lot of bells and whistles on our map because we want it to be easy to use and not cluttered with needless knobs. We may choose to add a few in the future as we get feedback, however our overall goal is to keep it simple! Currently we are displaying NEXRAD Base Reflectivity which gives a pretty clear view of the current weather events including rain, mix, ice, and snow. The weather radar data is produced every five minutes so we automatically update the map for you as the data is released. NEXRAD or Nexrad (Next-Generation Radar) is a network of 158 high-resolution Doppler weather radars operated by the National Weather Service, an agency of the National Oceanic and Atmospheric Administration (NOAA) within the United States Department of Commerce. Its technical name is WSR-88D, which stands for Weather Surveillance Radar, 1988, Doppler. Along with the radar weather data we have added the International Space Station on the map so that you may follow it to see where it is at any particular time. The location updates every 5 seconds so you can see how fast it actually navigates around the globe. Above are some quick links to the different local regions that you might want to get data from. Feel free to use the seach button on the map to get to your location quicker or simply zoom the national weather map into the local area to see the local weather data. 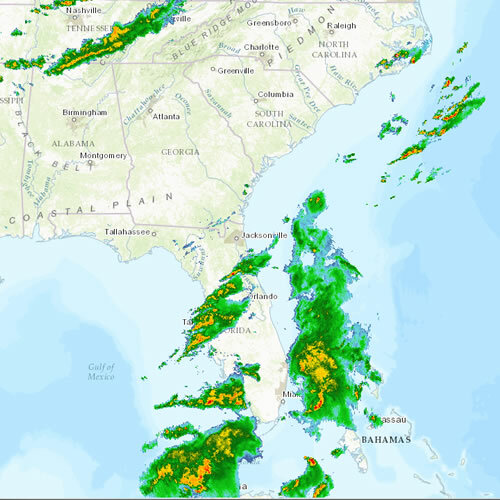 Finally a national weather radar map that I can use to see the local weather radar conditions as well as the weather conditions all around the Unites States!